We often give short shrift to hardware at Disrupt mostly because investors are afraid to look at companies that can’t pivot without trashing 30 days of inventory. No longer. Limor Fried AKA Ladyada will join me on stage to talk about what it takes to build a profitable, cool, and amazingly popular hardware company out of a dorm room. Fried, who runs Adafruit Industries, founded her DIY electronics company after friends began pestering her to build them cool electronics kits. The company now fills 600 orders a day and sells 1,302 items in a catalog that includes Arduino boards, Raspberry Pis, and DIY coolness for the geek set. They’re making $15 million per year in revenue with no VC backing. She joins our list of Disrupt NY speakers that currently includes Bill Gurley, Chamath Palihapitiya, John Donahoe, Roelof Botha, Ron Conway and David Lee, with more to be announced. 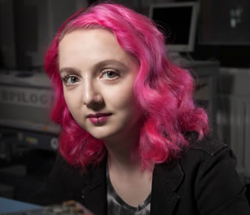 Adafruit was founded in 2005 by MIT engineer, Limor “Ladyada” Fried. Her goal was to create the best place online for learning electronics and making the best designed products for makers of all ages and skill levels. Over the last 6 years Adafruit has grown to over 45 employees in the heart of NYC. Adafruit has expanded offerings to include tools, equipment and electronics that Limor personally selects, tests and approves before going in to the Adafruit store. Fried was the first female engineer on the cover of WIRED magazine and was recently awarded Entrepreneur magazine’s Entrepreneur of the year.